The small car market in the United States has been growing by leaps and bounds in the recent years and new offerings have made existing vehicles seem outdated. 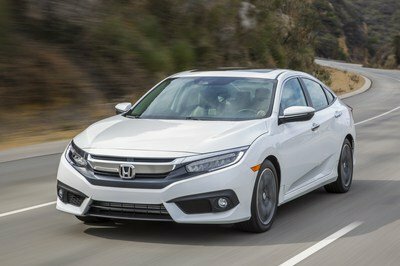 These machines, such as the Hyundai Elantra and the Chevrolet Cruze, make the Honda Civic and the Toyota Corolla seem more at home with a horse attached to the front. Yet, what happens when one gets a vehicle that seemed outdated before the launch of those new models? The Nissan Sentra is just one of those models, as its styling inside and out could easily be from 1999, but does that really matter? Styling is, after all, something that each person sees differently and the interior of a vehicle, as important as it is to the media, doesn’t seem to matter much to Americans. Just look at how many Impalas sold last year and this point will hit home. So, with that being said, is the Nissan Sentra a work of art hidden under a bland exterior, or is its 20th century appearance a sign of what’s to come once on the road? 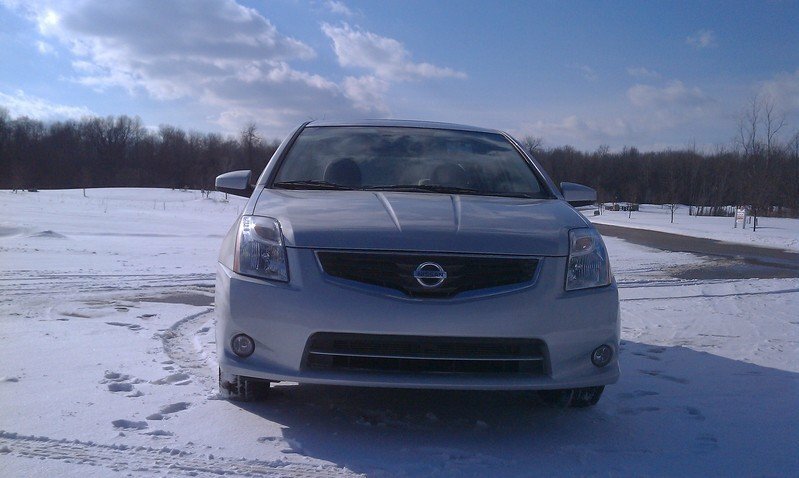 In order to find out, Nissan gave us a 2011 Sentra 2.0 SL to drive around for seven days. Hit the jump to read what we discovered. The Nissan Sentra has an odd look about it. By no means is this a good-looking machine, but it’s not ugly. Out of all the vehicles that are tested by us each year, this Nissan is a puzzling piece of kit. It’s sort of like a really tall skinny person, as the Nissan rides high but is short and narrow. Many of its design cues are passed down from its big brother, the Altima. These cues consist of the flared-outward headlights and prominent flanks in at the top of the rear fenders. The test SL version came with a rear spoiler and one has to say that it looks brilliant on the boot of the Sentra. 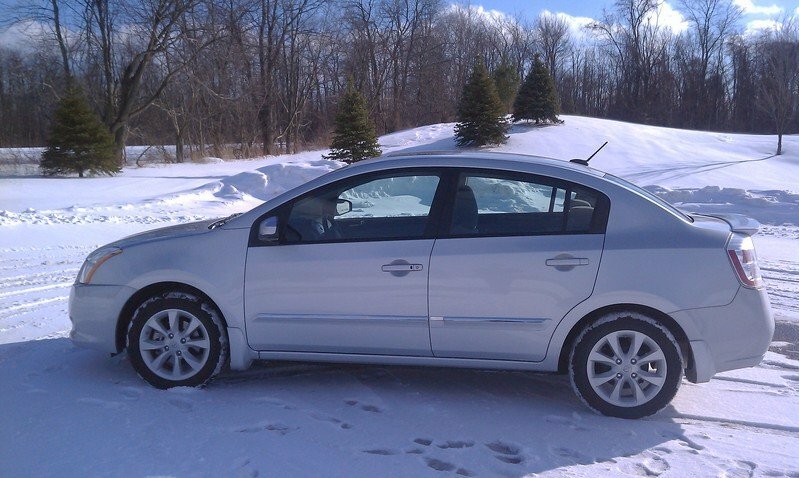 Step inside the 2011 Sentra and all is familiar and a little bit disappointing. 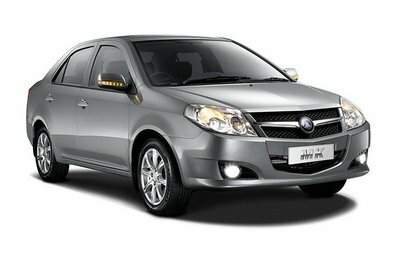 The seats are a plus, as they are very supportive and comfortable during long journeys. The center stack is well laid out and the chrome touches around the climate control dials are a nice touch. The plastics on the dashboard are a bit hard to the touch, but they feel strong. It might not be a Cruze or an Elantra, but it’s not bad. The navigation system, which is a $990 upgrade, is small. It’s easy to use as there are numerous buttons that operate various features, but the screen is too tiny to be taken seriously in today’s market. Perhaps Nissan can get rid of all those conventional buttons to make the screen larger. Another option that came with the SL was the audio package that added a 350-watt stereo and it, having cranked it up every now and again, sounded great. The deep bass was clear and never caused a rattle, while the high tones were crisp and pleasant to the ear. Living under the hood is a 2.0-liter DOHC four-cylinder engine with 140 horsepower and 147 pound-feet of torque. That engine is connected to a CVT transmission that is truly the downside to the whole kit. There is a shift lag when the accelerator is pressed to the floor, not to mention a Japanese four-cylinder drone that is about as pleasurable to the ear as a squealing pig. While the noise and the transmission are a letdown, the engine itself is plenty powerful enough. It kicks in around 4,000 rpm and zooms the Sentra off to unknown speeds. It’s able to muster up enough power to get past slow moving vehicles and provide enough thrilling acceleration off the line to put a smile on one’s face. In the corners, the Sentra has decent grip without much body roll. The steering is decently weighted, but lacks any real feel. It’s actually enjoyable to whip the Nissan in and out of corners, but at times, the steering can snap back in a hurry, resulting in one’s body being tossed like a rag doll. The brakes are stellar, but, once again, lack feel. One plus side to the new Sentra is its amazing fuel economy. 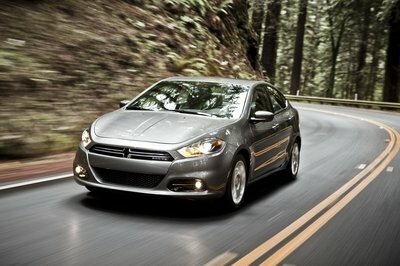 The 2.0-liter engine is able to give back 27 miles per gallon in the city and 34 on the highway. That makes the Nissan Sentra worth it in the end, even though there are better choices out there. Now the price that is, as hard as it is to say, too high to be worth it. Nissan wants $21,390 for this model, with an $18,850 base price. That is just too high for what the Sentra offers. The new Elantra is a much better option, as is the Kia Forte and the new Ford Focus. Even the Fiesta, which nets better mileage, is a better choice. All in all, it’s going to be hard to recommend the Nissan Sentra to anybody, as it is a good car that is weighted down by numerous unpleasantries. 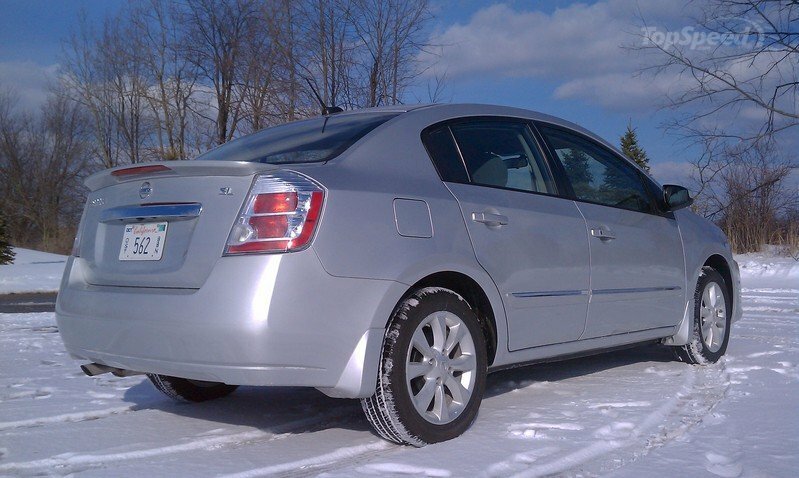 The 2011 Nissan Sentra 2.0 SL is a good car; there is no doubt about that. The search to find the real sedan under the bland exterior has led to one key decision. The Sentra is not for those that desire excitement on a daily basis. The engine is good, but the transmission holds it back, while the steering is numb, as are the brakes. In a way, this car packs many positive attributes that are all hampered by something. It maybe looks so simple and ordinary on its exterior detailing, but the fact that it is very reliable on the road, and it is practical to use on everyday transportation; it doesn’t truly matter at all for me. oppose my opinion on their first edition. I would agree with you on that one. Nissan really was able to find the right mix of everything for this car, which is why it is my favorite ride. Yeah, it is really no wonder why the Sentra is still very successful after all these years. 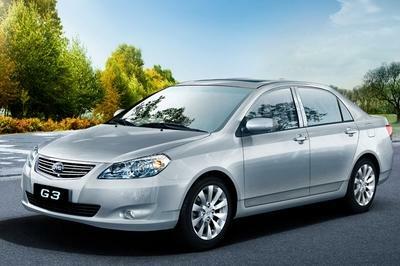 The car has a good amount of comfort, reliability, and performance in one nice package. I cannot seem any positive attributes with this type of model. 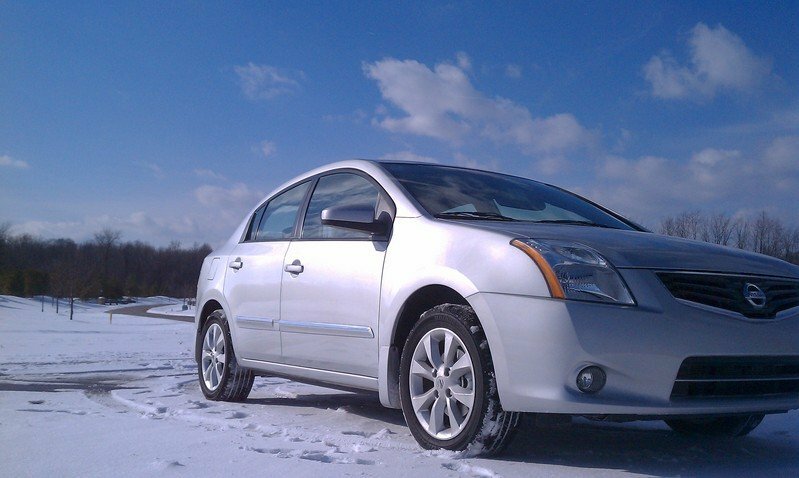 The only thing is the pretty simple and natural looks that make its more reliable hybrid car. A typically so simple and looks so ordinary well made, It would be better enough if this Nissan Sentra SL is upgraded into a new version. is not kinda great. The transmission of this car is i think a lot of version that has to be made. 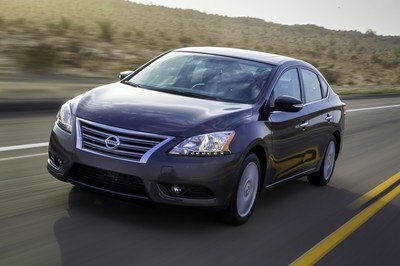 I just traded in a 2010 Honda Civic for a 2011 Nissan Sentra SL. I already have a Sentra SR. I love them! They are well built, tight and sit up high. Best car I’ve ever had in the snow - and even better than a CR-V to be honest. The toys and features are much cheaper than other manufacturers. I really consider the Sentra as one of the best cars released. I actually had one before and it was very reliable, I only had to trade it in for a bigger car when I started a family.